If there is anything this world needs desperately - it's size acceptance because acceptance has a biology that goes with it. Beauty and health beliefs need to change so that we can be kinder to ourselves and others because kindness has a health-filled biochemistry. And shaming others because of their size is absolutely not good for your health either. Centenarians around the globe have a gentle sense of acceptance about themselves. Size acceptance = self acceptance... or so I thought. But here was the irony...accepting myself, it turns out, actually had very little to do with the physical size of my body. I know now (what I couldn't see back then) that whether I was anorexic,'normal' or outsize, I still struggled with self-acceptance. It turned out that no body size, in itself, could actually make me feel good enough. Self acceptance is about realizing that the size acceptance is about having a mental makeover. It's about changing what you value and what you buy into. 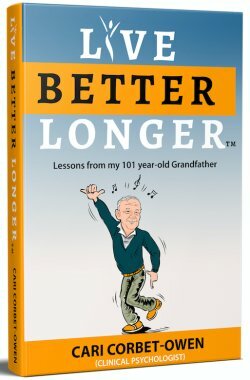 It's about shifting your mindset to a healthy and longevity lifestyle. Because whether your body is thinner or fatter - in the end really doesn't matter because you can be healthy at every size. Size acceptance (of all my sizes) had to happen in my head. You have to learn to accept yourself. I had to get my MIND over this whole fatter-thinner story! People who live to great ages and promotes the longevity lifestyle don't spend much time worrying about their size. They are more worried about the size of their hearts, their smiles, their passions than the size of their bodies. They know that health is wealth. 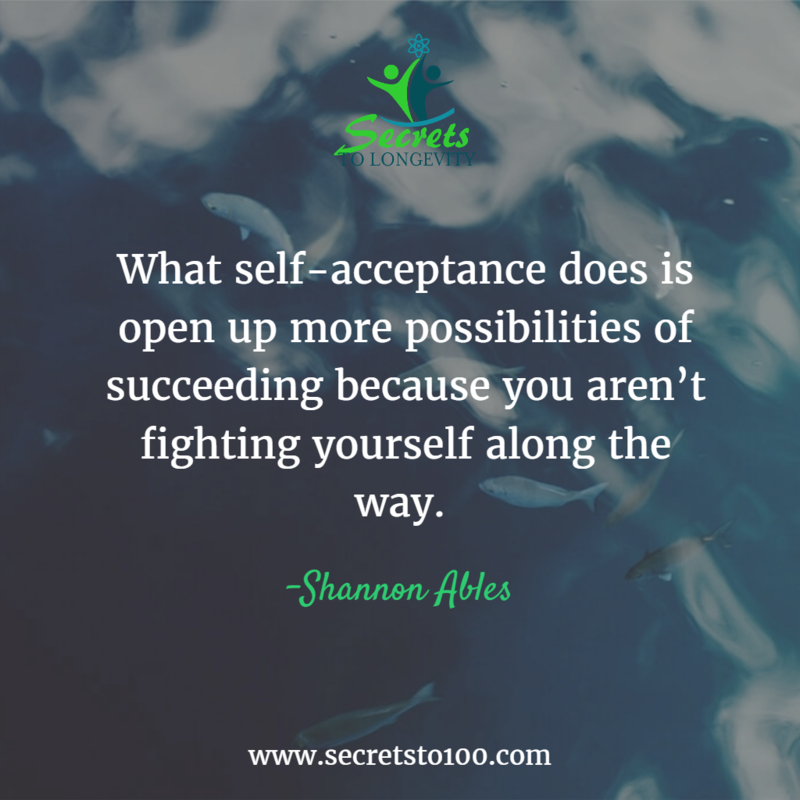 What self-acceptance does is open up more possibilities of succeeding because you aren’t fighting yourself along the way. Many dieters aren't even overweight but they are still stuck in Diet City. Much of the time I hated myself and my body - I wasn't overweight which is precisely why I know I needed a healthy mind and body solution rather than merely looking for another best weight loss plan. I know I'm not the only diet dummy who fell into that trap. But above is a photo of me before I went on the diet on which I became I weighed 51 kgs (112lbs) the day I started my 'anorexia' diet - my weight would have fallen into what the insurance ideal range. But in my head I had no acceptance even of what was supposedly 'ideal' and that was because self acceptance had to come before size acceptance could follow. By the way, you'll notice that in this picture I have no head - in a fit of self-hatred I tore it off! That's my body critic at work! Imagine what my cells were over-hearing and responding too. That's a lot of bad biochemistry to create for yourself! Do you think the fact that my body was pretty much at ideal stopped me from dieting or exercising obsessively? No ways! And guess what - until you look for a healthy mind and body solution, instead of just weight loss advice, it won't stop many of you either. Having run Mind over Fatter workshops in different corners of the globe - there's one thing I notice no matter where I am. The vast majority of people who look back at their bodies when they first started with what became their years of following weight loss advice and weight loss tips, tell me they'd kill to have their pre-diet body now! Only now with the wisdom of hindsight can they see their body wasn't 'wrong' as they had thought it was back then. Only now can they reach body acceptance of the body they once felt was too fat, too hippy or whatever else. Yet it isn't their body that has changed, it's their perceptions about their body. Our biology actively responds to our judgements and perceptions. Yet they all landed up in Diet City. During 1992 and 1993, I lost 5 children. The first three miscarried and after that the first of our twin sons was stillborn, followed by the other who only lived for 45 minutes. Life is odd the way it happens because strangely enough it was all these losses that turned out to be the gift that made me re-look my life, realize I that I was wasting a potentially great life with all my nonsense about food and eating. When I invested in my spiritual growth which turned out to be what eventually lead to self-acceptance. Or watch this powerful interview with Libra Forde who was bullied and teased and abused for her size and the practical steps she took to turn her life around.